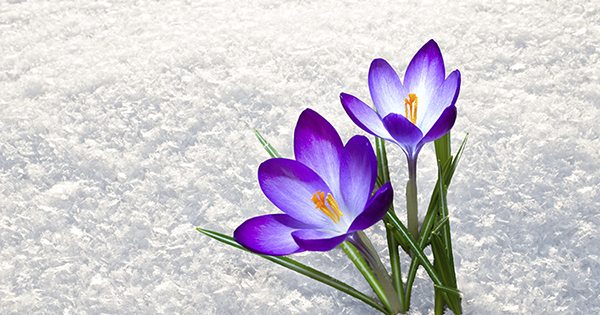 No Matter What The Groundhog Does, You Should Sell Before Spring! Foot traffic refers to the number of people out actually physically looking at homes right now. The latest foot traffic numbers show that buyers are still out in force looking for their dream home. These buyers are ready, willing and able to buy...and are in the market right now! Take advantage of the strong buyer activity currently in the market. Housing supply just dropped to 3.9 months, which is well under the 6 months' supply that is needed for a normal housing market. This means, in many areas, there are not enough homes for sale to satisfy the number of buyers in that market. This is good news for home prices. However, additional inventory is about to come to market. There is a pent-up desire for many homeowners to move, as they were unable to sell over the last few years because of a negative equity situation. Homeowners are now seeing a return to positive equity as real estate values have increased over the last three years. Many of these homes will be coming to the market in the near future. Also, new construction of single-family homes is again beginning to increase. A study byHarris Poll revealed that 41% of buyers would prefer to buy a new home while only 21% prefer an existing home (38% had no preference). The choices buyers have will increase in the spring. Don't wait until all this other inventory of homes comes to market before you sell. If you are moving up to a larger, more expensive home, consider doing it now. Prices are projected to appreciate by 5.4% over the next 12 months according to CoreLogic. If you are moving to a higher priced home, it will wind-up costing you more in raw dollars (both in down payment and mortgage payment) if you wait. You can also lock-in your 30-year housing expense with an interest rate below 4% right now. Rates are projected to rise by three-quarters of a percent by the end of 2016.